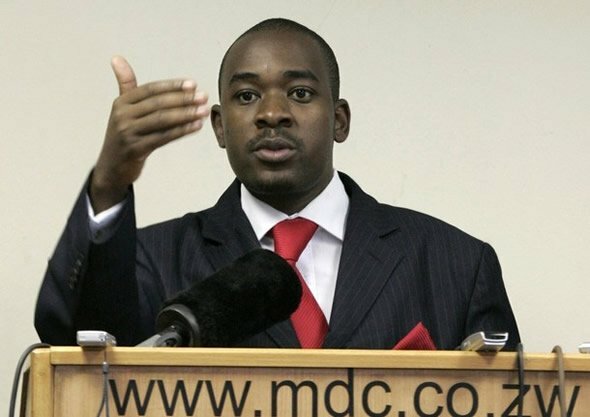 MDC Alliance presidential candidate Mr Nelson Chamisa fairly lost the just ended elections because he disregarded the election road map that was agreed upon by the party and endorsed by the late leader Mr Morgan Tsvangirai before he died. In a candid analysis on the just ended elections, former MDC-T legislator and advisor Mr Eddie Cross also said the Alliance’s existence into the next elections was next to none. Mr Cross announced that he is quitting both politics and MDC-T to concentrate on business. He accused Mr Chamisa of turning the elections into a “Chamisa thing” and not an MDC-T issue, in the process disregarding what the party had put in place as a roadmap to win the elections. “I was very critical of the policy procedure adopted by Chamisa because 18 months before his unfortunate death, Tsvangirai had set up a policy group to prepare for this election which was chaired by Dr (Tapiwa) Mashakada and it produced a 37-paged document which I thought was very good but when Nelson took over he simply rejected it out of hate and then he did something out of his own initiative. “A party is a team and you can’t toss aside the views of your team and simply proceed with something that you concocted with other elements in the alliance and just simply announce it, which is essentially what happened. The MDC-T manifesto never had real interest on the campaign and I thought it was too long and it was too complicated,” said Mr Cross. He said in the run up to the elections, Mr Chamisa had made the elections about him, a strategy which, Mr Cross said Mr Tsvangirai had long dispelled noting that there was a need to target the grassroots first, which would naturally escalate to the presidency. Mr Cross said if Mr Chamisa was to entertain any hopes of winning future elections he had to refocus his strategy starting from the wards going up to the parliamentary seats. “In the past we always concentrated on the Presidency thinking that if you capture the Presidency you have captured the Government, that’s true but the real fight, political fight is not at the top, it’s at the bottom. It’s in the wards and Morgan’s concept was that we should turn the 2018 campaign and concentrate on the wards and that is saying if we win the wards we win the districts, we win the districts and we win the presidency. “In the end of course Nelson and the Alliance went back to the old system that fought the Presidential election. Yes, he did a brilliant job, he was a great speaker, he was charismatic, he was well educated but at the end Morgan was right and that was a crucial mistake for the Alliance of not concentrating on the grassroots,” said Mr Cross. Mr Cross said the elections were the best run since the formation of the MDC in 1999 and Mr Chamisa’s constitutional court challenge for the Presidential election was a futile attempt. “I think this election, despite all criticism, it was the best election since 2000. We were allowed complete freedom to go where we wanted with no police interference and very little violence. We had freedom of speech, freedom of association. I think this campaign was much free than other campaigns and I think to be frank the election results will be very difficult to contest. “As for the Alliance’s existence, it’s a difficult ask but my view is that we have heard very little from Welshman Ncube who is one of the most senior members of the Alliance, of which I agree with his sentiments, I don’t think the Alliance will hold together in the future as I don’t think the alliance is particularly united at the moment,” said Mr Cross. Turning to his resignation from active politics Mr Cross said this was a decision which he had long informed the late Tsvangirai about, but they had felt that he should not publicise it to allow a smooth transition in his constituency. He, however, blasted the Alliance for bungling resulting in the fielding of two candidates in the constituency which resulted in them eventually losing to Zanu-PF candidate Raj Modi in Bulawayo South.